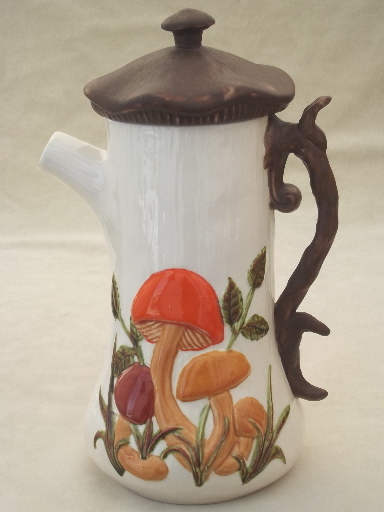 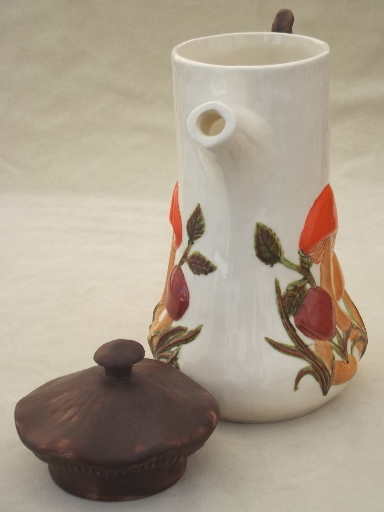 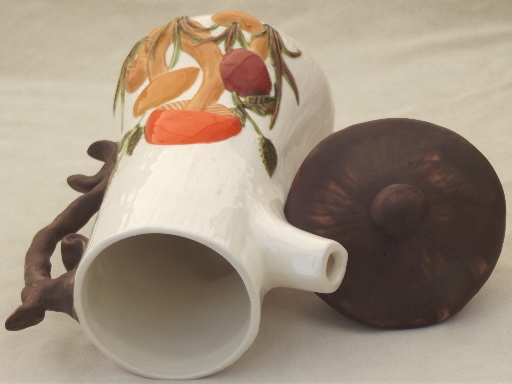 70s vintage handmade ceramic coffee pot with mushroom design, sort of merry mushrooms style, all handpainted. 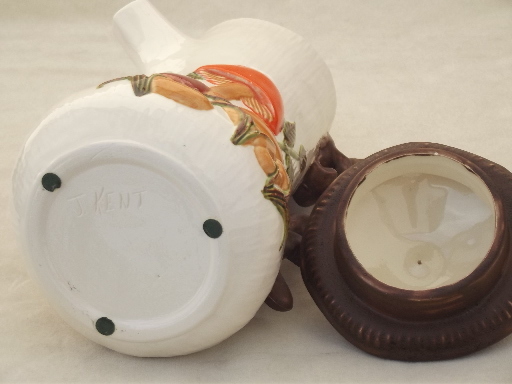 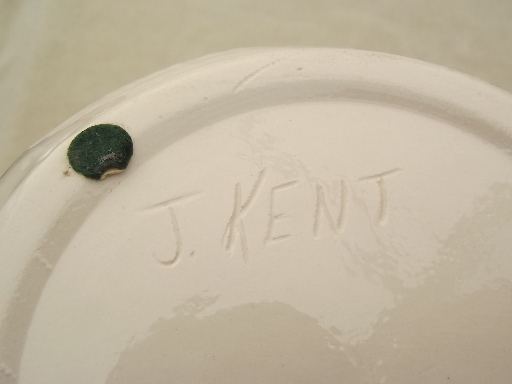 This is super cute and in very nice clean condition without damage or wear. 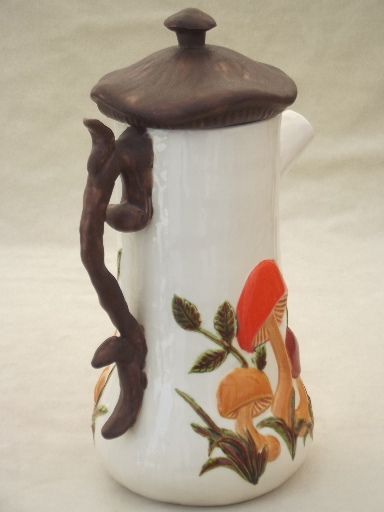 Measures 11" tall overall.